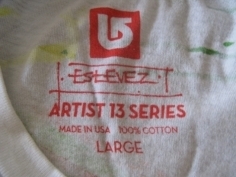 The latest artist to take part in Burton‘s ‘Project 13’ Artist Series is Londoner Mark Ward, who has given the snowboard giant a taste of his style with this limited edition t-shirt. 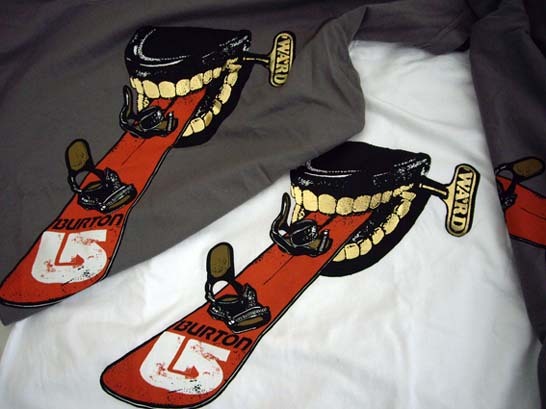 Burton is yet another major brand to add to Ward’s already impressive client list. Utah guy, are we heading to the mountains soon? Burton Snowboards and the Andy Warhol Foundation unveiled a collaborative, limited edition hardgoods and softgoods collection at the Snowsports Industries of America (SIA) tradeshow in Las Vegas, Nevada. This one-of-a-kind collection brings some of Andy’s most esoteric art to snow and includes snowboards, boots, bindings, men’s and women’s outerwear, thermal and a travel bag collection all featuring iconic Warhol prints. The Warhol hardgoods collection exhibits snowboard graphics worthy of their own wall space in a gallery. Hydro graphic binding hi-backs and lenticular artwork on the boots also utilize Warhol artwork. The men’s and women’s softgoods collection features unique sublimated artwork on the outerwear shell and liner fabric (an industry first) and custom details throughout – such as leather zip pulls, enamel-filled buttons, woven seam tape and satin linings. 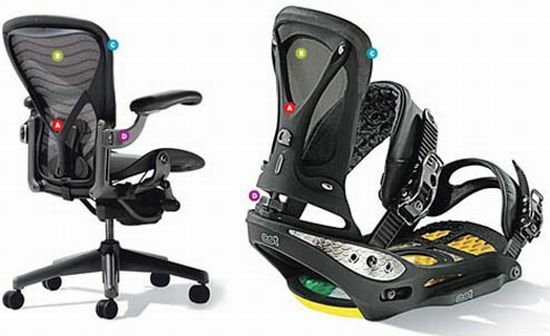 All products boast Burton’s industry-leading technology and attention to detail, making the Warhol collection as fun to ride as it is to admire. A rather fine collaboration between Paul Smith Jeans and the world’s finest snowboard maker from Vermont. 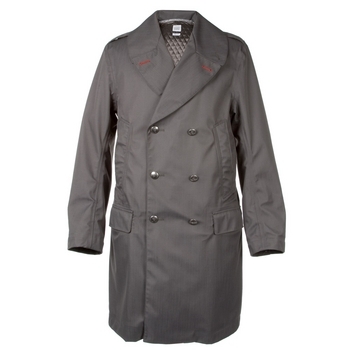 The ’snow-proof’ three-layer dark grey double-breasted trench coat comes in a classic cavalry twill. Silver plated buttons, featuring traditional guardsmen crest, adorn the trench coat. A traditional Italian wool ling on the jacket is removable, and magnetic buttons seal the pockets for ultimate mountain functionality.